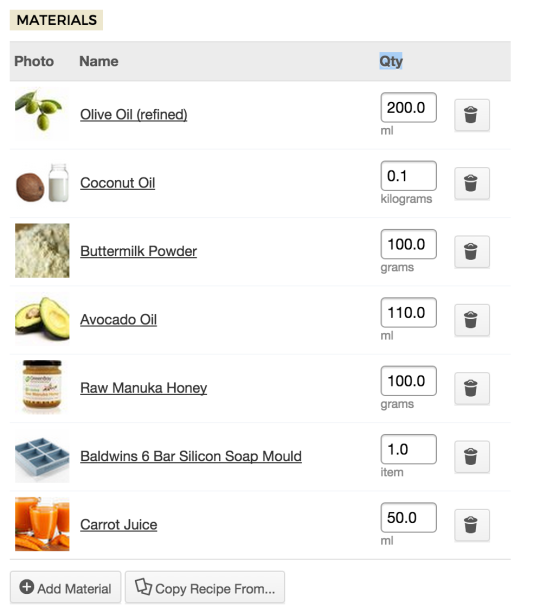 Another little enhancement we’ve added this week is the ability to edit a material’s quantity in a recipe. Previously, to modify the quantity of a material you had to remove and then re-add the material, so this should hopefully be a much faster and simpler process for everyone. This was another suggestion implemented as a result of the ideas we have received via the new footer feedback area - if you have any thoughts please get in touch and we’ll be happy to add them to our list for consideration!